This website was an iconic reseller of Australian Thongs and related footwear. The domain would be perfect for an existing physical footwear store and business who has existing stock of Thongs/footwear and would like to have an online presence. 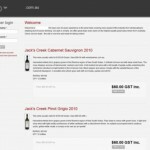 This Domain was used for wine sales and reviews on Australian Wines. The last owners boasted over 20 years experience in the wine industry and talked about every aspect of the wine industry from wholesaling to retailing and of course drinking. 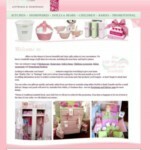 Being an e-commerce website the domain would again suit anyone who was interested in selling gift-ware and home-ware products or creating a blog talking about ways to redesign a clients home.